Do you have a game plan yet? 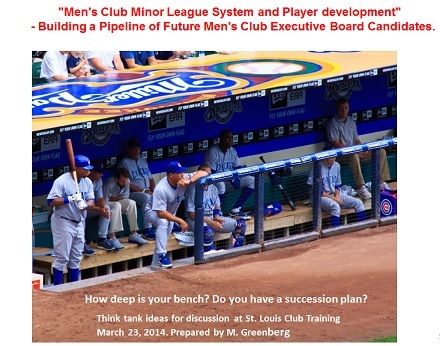 This new presentation, developed by Mike Greenberg was just presented for the first time at the St. Louis area leadership training session. Following review and suggestions from our St. Louis colleagues it is now available for all clubs as a resource. Take some time to review this and consider your club’s initiatives for player development. This PowerPoint is 3MB and 27 slides. You can view it here on the web site or download it to your computer.